Milos Karadaglic performed two recitals this week for the Celebrity Series of Boston. Don’t believe the hype. Milos is better than that. 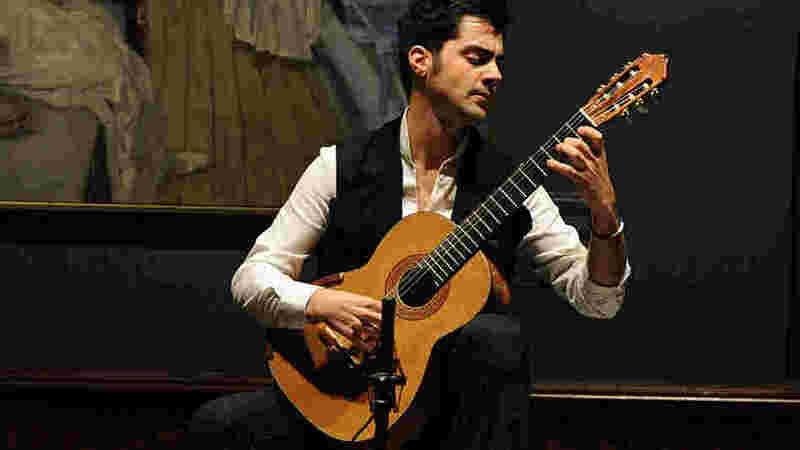 With advance notices shouting “the hottest thing in classical music” and “the next rock star of the guitar,” the Celebrity Series debut of Montenegrin guitarist Milos Karadaglic Wednesday evening at Pickman Hall—sold out long ago, with a second show added an—had an expectant air to it. Better known in Europe, where he studied at the Royal Academy in London, and from two Deutsche Grammophon recordings, Milos—he now goes by first name only—showed that there is a genuine, if developing, artist behind the dreamy good looks and the marketing polish. In a program that included Bach, Villa-Lobos, Barrios and Domeniconi, Milos displayed enviable physical gifts, careful musical approach and a winning stage presence. Bach wrote four suites for the lute, and guitarists have readily taken to performing them to show of their contrapuntal depth and gorgeous architecture. Milos performed the C minor, BMV 997, transposed down to A minor, a more natural key for the guitar. The suite includes five movements; most distinguished are an intense Fugue, and a tricky Double. Milos respected its lute origins, playing with almost no vibrato, allowing the structure to be articulated successfully without trying to transform the piece within a contemporary practices. The opening Prelude, a fantasia, was carefree. The Fugue features a long, deliberate introduction before beginning to layer its voices, which Milos infused with explosive energy. After a more simple Sarabande, the Gigue and concluding Double, played attacca, challenged performer and listener. In the rhythmic changes of the Double, requiring quick chordal shifts with the left hand, the artist missed a few opportunities to shape the work. Despite these abrupt transitions, the overall reading was introspective, alert, loving. From the first glissando up the scale of Villa-Lobos’ Prelude No. 1, it was clear we were in a different guitar world. Milos played four works by the Brazilian master, each with its own distinctive characteristics. The Prelude, with an insistent bass line provided by the thumb, was snappy with folkloric flourishes. Etude No. 11 was an extended set of unadorned chords, its dynamics shifting in the strumming hand. A simple Choro, with a waltz rhythm but achingly slow and lyrical, led to Etude No. 12, “a study in crazy” Milos called it, bold chords mixed with colorful arpeggiated accents, a mix of whole and broken that the guitarist stitched together seamlessly. Milos’ technique is clean, avoiding accidental left-hand glissandos while changing positions, articulating precisely with his plucking hand. His approach seemed modest and thoughtful, and his measured comments about the works were intimate, welcoming the listener in, without excess. After intermission he played three Latin miniatures (by Morel, Cardoso and Savio) before concluding with two substantial suites, the Paraguayan Agustin Barrios’ Un Sueño en la Floresta and the Italian Carlo Domeniconi’s Koyunbaba. Both suites allowed Milos to show off his tremolo skills, with motoric right-hand fingers painting melodies, his thumb anchoring a bass line. Barrios’ dream sequence blended three gentle voices, rarely punctuated with any forceful strumming. Domeniconi’s Turkish-inspired showpiece, a pastorale with classically proportioned introduction, scherzo, song-like slow movement and presto finale, forces the guitarist into alternate (and always shifting) tunings, generally to C sharp. The tremolo rarely eases, but recurring single notes on open strings offer the guitarist and the listener a chance to identify phrases. Milos played confidently, articulating dynamic swells and releases with purpose, re-tuning easily on the fly to meet the scordatura demands. As it was throughout the recital, his modest demeanor and understated musicianship belied his overheated advance notices. A young player to watch, for all the right reasons. The next Celebrity Series event will be the Kalichstein-Laredo-Robinson Trio, Feb. 24 at 3 p.m. in Jordan Hall. celebrityseries.org; 617-482-6661. Uhm, I’ve heard Milos play the Koyunbaba Presto and he pretty much murdered it. The Presto sounds like it’s all tremolo, but it’s actually a very clever and rather taxing series of slurs and the odd mordent thrown in for good measure. It’s a heck of a piece. Check it out in sheet or on classtab.org. But the last time I heard Milos attempt it, he was not up to the challenge. If the suite is like the tragedy of the Tale of Two Cities, Milos’s version was more like the tragedy of Twilight. Pretty faces, but lacking in execution, substance, organization and style.